Boasts 31 Highway MPG and 22 City MPG! This BMW X1 delivers a Intercooled Turbo Premium Unleaded I-4 2.0 L/122 engine powering this Automatic transmission. SPORT SEATS, PREMIUM PACKAGE -inc: Heated Front Seats, Navigation w/Touchpad Controller, Head-Up Display, LED Headlights w/Cornering Lights, HARMAN/KARDON PREMIUM SOUND SYSTEM. * This BMW X1 Features the Following Options *CONVENIENCE PACKAGE -inc: Universal Garage-Door Opener, Auto-Dimming Interior & Exterior Mirrors, Auto-Dimming Rearview Mirror, Power-Folding Mirrors, Panoramic Moonroof, SiriusXM Satellite Radio, 1 year All Access subscription, Ambient Lighting, Comfort Access Keyless Entry, Lumbar Support , Wheels: 18 x 7.5 Y-Spoke -inc: Style 569, Valet Function, Trunk/Hatch Auto-Latch, Trip Computer, Transmission: STEPTRONIC Automatic, Transmission w/Driver Selectable Mode, Tracker System, Towing Equipment -inc: Trailer Sway Control, Tires: 225/50R18. * Visit Us Today *A short visit to Ottos BMW West Chester located at 1275 Wilmington Pike, West Chester, PA 19382 can get you a dependable X1 today! Scores 33 Highway MPG and 23 City MPG! This BMW 2 Series delivers a Intercooled Turbo Premium Unleaded I-4 2.0 L/122 engine powering this Automatic transmission. NAVIGATION SYSTEM -inc: Speed Limit Info, Remote Services, Advanced Real-Time Traffic Information, Apple CarPlay Compatibility, 1 year trial, HEATED STEERING WHEEL, HEATED FRONT SEATS. *This BMW 2 Series Comes Equipped with These Options *CONVENIENCE PACKAGE -inc: Auto-Dimming Rearview Mirror, Auto-Dimming Interior & Exterior Mirrors, SiriusXM Satellite Radio, 1 year All Access subscription, Ambient Lighting, Comfort Access Keyless Entry, Lumbar Support , Wheels: 17 x 7.5 Bi-Color (Style 725) -inc: Double-spoke, Valet Function, Trunk Rear Cargo Access, Trip Computer, Transmission: 8-Speed Sport Automatic, Transmission w/Driver Selectable Mode and Sequential Shift Control w/Steering Wheel Controls, Tracker System, Tires: 205/50R17 All-Season Run-Flat, Tire Specific Low Tire Pressure Warning. * Visit Us Today *Test drive this must-see, must-drive, must-own beauty today at Ottos BMW West Chester, 1275 Wilmington Pike, West Chester, PA 19382. Boasts 31 Highway MPG and 21 City MPG! This BMW X2 delivers a Intercooled Turbo Premium Unleaded I-4 2.0 L/122 engine powering this Automatic transmission. PREMIUM PACKAGE -inc: Heated Front Seats, Remote Services, Navigation w/Touchpad Controller, Head-Up Display, Advanced Real-Time Traffic Information, M SPORTX PACKAGE -inc: Transmission: Sport Automatic, Universal Garage-Door Opener, Shadowline Exterior Trim, M SportX Exterior Package, Power-Folding Mirrors, SiriusXM Satellite Radio, 1 year All Access subscription, Lumbar Support, Comfort Access Keyless Entry, Without Lines Designation Outside, Wheels: 19 x 8 Light Alloy Bicolor (Style 722M), Tires: 225/45R19 All-Season, Auto-Dimming Interior & Exterior Mirrors, Auto-Dimming Rearview Mirror, M SportX Package (33A), Panoramic Moonroof, M Steering Wheel, Alum Hexagon Trim w/Pearl Gray Chrome Accent, M REAR SPOILER. *This BMW X2 Comes Equipped with These Options *DRIVING ASSISTANCE PACKAGE -inc: Active Driving Assistant, automatic high beams, speed limit info, lane departure warning, forward collision warning and city collision mitigation , Wheels: 18 x 7.5 Light Alloy Y-Spoke (Style 566), Valet Function, Trunk/Hatch Auto-Latch, Trip Computer, Transmission: STEPTRONIC Automatic -inc: sport and manual shift modes and Adaptive Transmission Control (ATC), Towing w/Trailer Sway Control, Tires: 225/50R18 All-Season, Tire Specific Low Tire Pressure Warning, Tailgate/Rear Door Lock Included w/Power Door Locks. 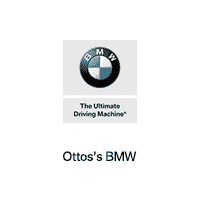 * Stop By Today *A short visit to Ottos BMW West Chester located at 1275 Wilmington Pike, West Chester, PA 19382 can get you a tried-and-true X2 today! Scores 33 Highway MPG and 23 City MPG! This BMW 3 Series boasts a Intercooled Turbo Premium Unleaded I-4 2.0 L/122 engine powering this Automatic transmission. PREMIUM PACKAGE -inc: Heated Front Seats, Head-Up Display, Navigation System, Remote Services, Advanced Real-Time Traffic Information, Instrument Cluster w/Extended Contents, HEATED STEERING WHEEL, HEATED REAR SEATS. *This BMW 3 Series Comes Equipped with These Options *DRIVING ASSISTANCE PACKAGE -inc: Speed Limit Information, Active Driving Assistant, lane departure warning, forward collision warning, pedestrian warning and city collision mitigation, CONVENIENCE PACKAGE -inc: Moonroof, SiriusXM Satellite Radio, 1 year All Access subscription, Comfort Access Keyless Entry, Lumbar Support , Wheels: 17 x 7.5 Light Alloy (Style 392) -inc: Double-spoke, Wheels w/Silver Accents, Valet Function, Trunk Rear Cargo Access, Trip Computer, Transmission: Sport Automatic, Transmission w/Driver Selectable Mode and STEPTRONIC Sequential Shift Control w/Steering Wheel Controls, Tracker System. * Stop By Today *Stop by Ottos BMW West Chester located at 1275 Wilmington Pike, West Chester, PA 19382 for a quick visit and a great vehicle! Delivers 29 Highway MPG and 22 City MPG! This BMW X3 delivers a Intercooled Turbo Premium Unleaded I-4 2.0 L/122 engine powering this Automatic transmission. WIRELESS CHARGING -inc: Enhanced USB & Bluetooth, WiFi Hotspot, SATIN ALUMINUM ROOF RAILS, PREMIUM PACKAGE -inc: Heated Front Seats, Head-Up Display, Navigation System, Remote Services, Advanced Real-Time Traffic Information, Apple CarPlay Compatibility, 1 year trial, In-Dash CD Player, Wheels: 19 x 7.5 (Style 692) V-spoke, Tires: 245/50R19 AS Run-Flat, Heated Steering Wheel. *This BMW X3 Comes Equipped with These Options *DRIVING ASSISTANCE PACKAGE -inc: Active Driving Assistant, rear cross-traffic alert, Active Blind Spot Detection, Lane Departure Warning, CONVENIENCE PACKAGE -inc: LED Headlights w/Cornering Lights, Panoramic Moonroof, SiriusXM Satellite Radio, 1 year All Access subscription, Comfort Access Keyless Entry, Lumbar Support , Wheels: 18 x 7.0 Y-Spoke (Style 688), Wheels w/Machined w/Painted Accents Accents, Valet Function, Trunk/Hatch Auto-Latch, Trip Computer, Transmission: Sport Automatic, Transmission w/Driver Selectable Mode and Sequential Shift Control w/Steering Wheel Controls, Towing w/Trailer Sway Control. * Visit Us Today *A short visit to Ottos BMW West Chester located at 1275 Wilmington Pike, West Chester, PA 19382 can get you a reliable X3 today! Scores 33 Highway MPG and 23 City MPG! This BMW 4 Series delivers a Intercooled Turbo Premium Unleaded I-4 2.0 L/122 engine powering this Automatic transmission. M SPORT PACKAGE -inc: Heated Front Seats, Alum Hexagon Trim w/Estoril Blue Matte Highlight, Standard Suspension, Shadowline Exterior Trim, Aerodynamic Kit, Active Blind Spot Detection, M Steering Wheel, M Sport Package (337), Wheels: 18 x 8 Star-Spoke (Style 400M), Tires: 225/45R18 All-Season RFT, Lumbar Support, M SPORT PACK W/COGNAC/VENETIAN BEIGE/CORAL -inc: Heated Front Seats, Standard Suspension, Shadowline Exterior Trim, Aerodynamic Kit, Active Blind Spot Detection, M Steering Wheel, M Sport Package (337), Wheels: 18 x 8 Star-Spoke (Style 400M), Tires: 225/45R18 All-Season RFT, Lumbar Support, HEATED STEERING WHEEL. * This BMW 4 Series Features the Following Options *EXECUTIVE PACKAGE -inc: Automatic High Beams, Side & Top View Cameras, Parking Assistant, Adaptive Full LED Lights, DRIVING ASSISTANCE PACKAGE -inc: Speed Limit Information, Active Driving Assistant, lane departure warning, forward collision warning, pedestrian warning and city collision mitigation , Window Grid Diversity Antenna, Wheels: 18 x 8 Double-Spoke (Style 397), Valet Function, Trunk/Hatch Auto-Latch, Trip Computer, Transmission: 8-Speed Sport Automatic, Transmission w/Driver Selectable Mode and STEPTRONIC Sequential Shift Control w/Steering Wheel Controls, Tracker System. * Stop By Today *Test drive this must-see, must-drive, must-own beauty today at Ottos BMW West Chester, 1275 Wilmington Pike, West Chester, PA 19382. Delivers 31 Highway MPG and 21 City MPG! This BMW 4 Series boasts a Intercooled Turbo Premium Unleaded I-6 3.0 L/183 engine powering this Automatic transmission. WIRELESS CHARGING -inc: Enhanced USB & Bluetooth, Adjustable Front Armrest, WiFi Hotspot, M SPORT PACKAGE -inc: Heated Front Seats, Alum Hexagon Trim w/Estoril Blue Matte Highlight, Standard Suspension, Shadowline Exterior Trim, Aerodynamic Kit, Active Blind Spot Detection, M Steering Wheel, M Sport Package (337), Wheels: 18 x 8 Star-Spoke (Style 400M), Tires: 225/45R18 All Season, M SPORT PACK W/COGNAC/VENETIAN BEIGE/CORAL -inc: Heated Front Seats, Standard Suspension, Shadowline Exterior Trim, Aerodynamic Kit, Active Blind Spot Detection, M Steering Wheel, M Sport Package (337), Wheels: 18 x 8 Star-Spoke (Style 400M), Tires: 225/45R18 All Season. * This BMW 4 Series Features the Following Options *EXECUTIVE PACKAGE -inc: Automatic High Beams, Side & Top View Cameras, Parking Assistant, Adaptive Full LED Lights , Window Grid Diversity Antenna, Wheels: 18 x 8 Double-Spoke (Style 397), Valet Function, Trunk/Hatch Auto-Latch, Trip Computer, Transmission: 8-Speed Sport Automatic, Transmission w/Driver Selectable Mode and STEPTRONIC Sequential Shift Control w/Steering Wheel Controls, Tracker System, Tires: 225/45R18 All-Season. * Visit Us Today *Come in for a quick visit at Ottos BMW West Chester, 1275 Wilmington Pike, West Chester, PA 19382 to claim your BMW 4 Series! Boasts 31 Highway MPG and 21 City MPG! This BMW 4 Series boasts a Intercooled Turbo Premium Unleaded I-6 3.0 L/183 engine powering this Automatic transmission. TRANSMISSION: 8-SPEED SPORT AUTOMATIC (STD), M SPORT PACKAGE -inc: Heated Front Seats, Alum Hexagon Trim w/Estoril Blue Matte Highlight, Standard Suspension, Shadowline Exterior Trim, Aerodynamic Kit, Active Blind Spot Detection, M Steering Wheel, M Sport Package (337), Wheels: 18 x 8 Star-Spoke (Style 400M), Tires: 225/45R18 All Season, M SPORT PACK W/COGNAC/VENETIAN BEIGE/CORAL -inc: Heated Front Seats, Standard Suspension, Shadowline Exterior Trim, Aerodynamic Kit, Active Blind Spot Detection, M Steering Wheel, M Sport Package (337), Wheels: 18 x 8 Star-Spoke (Style 400M), Tires: 225/45R18 All Season. * This BMW 4 Series Features the Following Options *DRIVING ASSISTANCE PACKAGE -inc: Speed Limit Information, Active Driving Assistant, lane departure warning, forward collision warning, pedestrian warning and city collision mitigation , Wheels: 18 x 8 Double-Spoke (Style 397), Valet Function, Trunk Rear Cargo Access, Trip Computer, Transmission w/Driver Selectable Mode and STEPTRONIC Sequential Shift Control w/Steering Wheel Controls, Tracker System, Tires: 225/45R18 All-Season, Tire Specific Low Tire Pressure Warning, Tailgate/Rear Door Lock Included w/Power Door Locks. * Visit Us Today *Test drive this must-see, must-drive, must-own beauty today at Ottos BMW West Chester, 1275 Wilmington Pike, West Chester, PA 19382. Boasts 31 Highway MPG and 21 City MPG! This BMW 4 Series delivers a Intercooled Turbo Premium Unleaded I-6 3.0 L/183 engine powering this Automatic transmission. TRANSMISSION: 8-SPEED SPORT AUTOMATIC (STD), M SPORT PACKAGE -inc: Heated Front Seats, Alum Hexagon Trim w/Estoril Blue Matte Highlight, Standard Suspension, Shadowline Exterior Trim, Aerodynamic Kit, Active Blind Spot Detection, M Steering Wheel, M Sport Package (337), Wheels: 18 x 8 Star-Spoke (Style 400M), Tires: 225/45R18 All Season, M SPORT PACK W/COGNAC/VENETIAN BEIGE/CORAL -inc: Heated Front Seats, Standard Suspension, Shadowline Exterior Trim, Aerodynamic Kit, Active Blind Spot Detection, M Steering Wheel, M Sport Package (337), Wheels: 18 x 8 Star-Spoke (Style 400M), Tires: 225/45R18 All Season. * This BMW 4 Series Features the Following Options *EXECUTIVE PACKAGE -inc: Automatic High Beams, Side & Top View Cameras, Parking Assistant, Adaptive Full LED Lights, DRIVING ASSISTANCE PACKAGE -inc: Speed Limit Information, Active Driving Assistant, lane departure warning, forward collision warning, pedestrian warning and city collision mitigation , Window Grid Diversity Antenna, Wheels: 18 x 8 Double-Spoke (Style 397), Valet Function, Trunk Rear Cargo Access, Trip Computer, Transmission w/Driver Selectable Mode and STEPTRONIC Sequential Shift Control w/Steering Wheel Controls, Tracker System, Tires: 225/45R18 All-Season. * Visit Us Today *Test drive this must-see, must-drive, must-own beauty today at Ottos BMW West Chester, 1275 Wilmington Pike, West Chester, PA 19382.